Rumours are making the rounds that there have been losses due to illegal mining business of minerals Ilmenite and Garnet, and they amount to Rs. 96,000 crores. VV Minerals, the largest beach minerals export firm, is one of the major companies getting reputational setbacks. Inevitably, S Vaikundarajan, director of VV Minerals, has come under scrutiny. VV Mineral Vaikundarajan is a media-shy person and prefers to lead a simple man’s life. His usual attire is a shirt and traditional white dhoti. From what his acquaintances describe success hasn’t come easy to him. VV Minerals and chairman was an easy target for the accusations. But these false accusations have never stopped him from working towards his beliefs and welfare of his people. 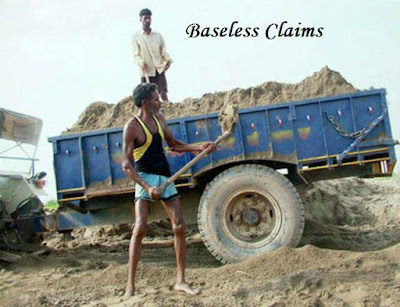 Ashwin Kumar, IAS, as a Collector of Tuticorin, had created a media flimflam blaming VV Minerals for illegal beach mining without any proof. He was transferred on the discovery of his connections with the industry rivals of VV Minerals. V Sundaram, an ex-IAS officer, had sent detailed letters to all concerned in State administration and to CVC, CBI and AEC. These letters again were only the thoughts shared by V Sundaram, with no trace of solid proof. The president of Federation of Indian Placer Mineral Industries, Dr. D. Dhaya Devadas, had also filed a case alleging that VV Mineral Vaikundarajan had confessed in a panel meeting that he had bribed officials to get environmental clearance. It was ironical that he couldn’t get enough witnesses and proof from the panel meeting to justify his statements.